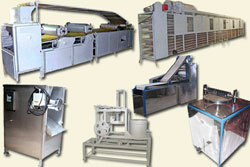 The Automatic papad making machines are highly effective as well as nonstop continuous process. Easier operation & less maintenance cost. Very easy operations, requires no skilled labor. 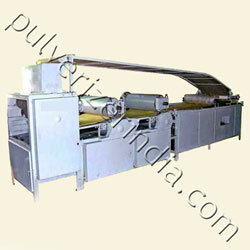 Papad can be manufactured from different varieties of pulses or there could be a combination of pulses as well. Adequate quantity of water is added in flour of pulses, common salt, spices and sodium bicarbonate and homogeneous mixing is done to obtain dough. 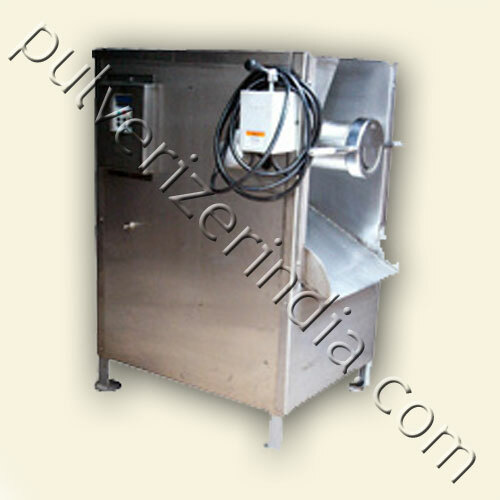 This machine would consist of heavy-duty stainless steel body with multi-purpose arms. These Flour Kneading Machine designed to scoop, lift and tumble materials in a gentle, but thorough mixing action. While being mixed, the material travels in a three dimensional "figure 8" pattern. The material is constantly being pulled from the ends of the mixer to the middle of the "figure 8" where the most aggressive mixing is taking place. This dough is passing through extruder. Extrusion is defined as a process in which material is pushed through an orifice or hole of given "U" shape. 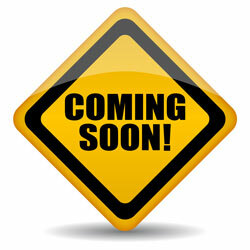 The pushing force is applied by using a screw encased in a stainless steel barrel, attached to a drive motor. A hopper at top of the screw to feed the dough. A sheeter consisting of a heavy- duty frame with gaugeable rollers driven by a motor with gearbox arrangement would be providing. The hopper would be of Stainless steel with proper taper. The dough is smooth formed from the hopper in the form of a sheet and feed to the gaugeable rollers. The distance between the gaugeable rollers would be adjustable and this would depend on the desired thickness of the Papad, mathiya, cholafali. The rollers would be PVC coated (food-grade material). 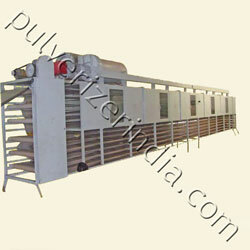 There would be an intermediate conveyor to feed the dough sheet to the cutting plant. The conveyor belt would be of food-grade material. 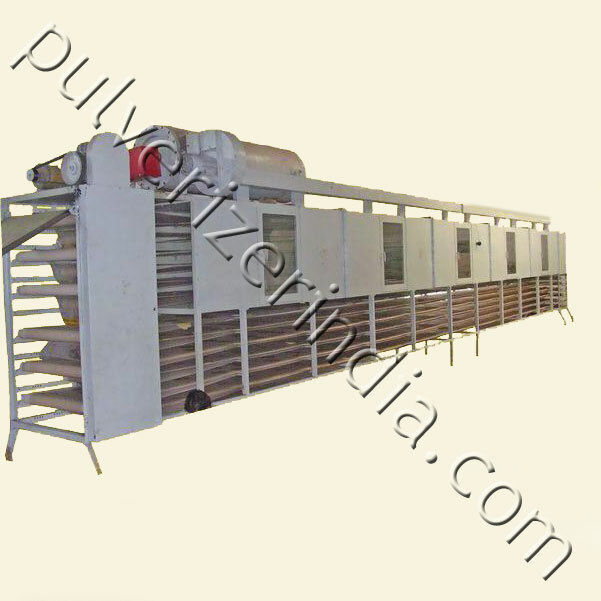 A rotary cutting unit would be fits on a roller for smooth and accurate cutting of papad as per the desired sizes. An electric or LPG or CNG or Diesel drier would be use to dry the Papad. The Dryer casing would be reinforcing by means of M. S. sections to make it sturdy. Digital temperature meters would be provide at different places in the oven. Above 15 to 16 Kg/hour pant, we will supply laminator type along with the sheeter and extruder process will be omits. Drier can also supply with diesel fired or liquefied petroleum gas instead of electric fired system for reducing daring cost. Dryer ( Please note that 5 to 7 Kg. per hour plant can not supply with dryer. & 15 to 16 kg. 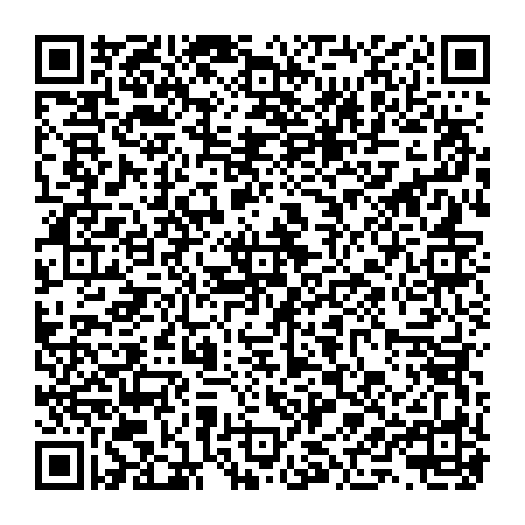 per hour plant cannot supply with diesel fired or liquefied petroleum gas instead of electric fired ).